I was sitting in an outdoor patio in Healdsburg on a classically beautiful early afternoon. The sun was shining, a nice breeze was blowing and I ordered oysters. 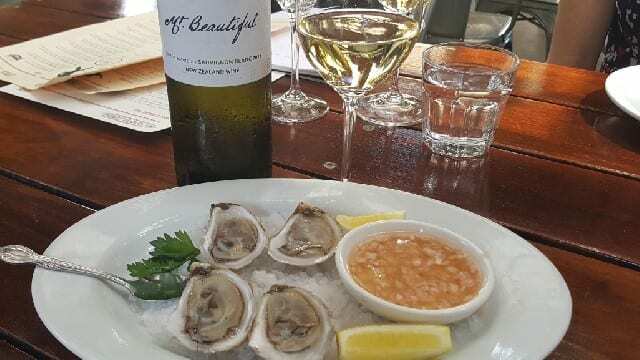 With the briny, delicate oysters, a natural pairing is a crisp, acidic sauvignon blanc. Although I was in Sonoma, I found myself sipping a sauvignon blanc from Mt. Beautiful from North Canterbury in New Zealand. While it is not uncommon to find New Zealand wines throughout the U.S., there is a connection between Mt. Beautiful in New Zealand and California. David Teece, founder of Mt. Beautiful, is a New Zealand native who lives in Berkeley, California. Raised in Lower Moutere along the Tasman Bay on the South Island of New Zealand, Teece’s father started a trucking company that transported items from outlying farms to the cities. His father also purchased a fallow quarter-acre lot next to their home, which Teece and his brother cultivated crops. Growing up in the outdoors and working with nature are normal activities in New Zealand. But Teece left to study economics and geology at University of Canterbury. He pursued a career in academics and today is the Tusher Professor in Global Business at UC Berkeley’s Haas School of Business, as well as the director of the Tusher Center for Intellectual Capital. Writing more than 30 books and 200 scholarly papers and co-editor of the Palgrave Encyclopedia of Strategic Management, Teece is considered one of the world’s most cited scholars in business and economics. Settled and living in Berkeley, Teece’s love for the outdoors and enjoyment of risky endeavors led him to look for a location in New Zealand to plant grapes. Consulting with his friend Ron Sutherland, a geologist and vineyard consultant, Teece wanted to grow grapes in New Zealand where no one had done it before. Sutherland explored the northern part of the South Island, which includes the Marlborough and Waipara regions. Ultimately, he found a place that no one had yet planted, North Canterbury. Canterbury is a region in the middle of the South Island with Christchurch as the main city. Famous as a location used in filming “The Lord of the Rings,” vineyards were first established on the Canterbury Plains in 1978. Waipara Valley in Northern Canterbury, 40 minutes north of Christchurch, was first planted in the 1980s. Mt. Beautiful is even farther north of Waipara, on the northern tip of the North Canterbury wine region, approximately an hour and a half north of Christchurch. Ron Sutherland had located an awesome site that consisted of four farms and Teece purchased the property in 2003. This area of North Canterbury had not been planted to grapes yet but he and Teece saw something special. They named the wines Mt. Beautiful after the series of mountains of the same name that are along the coastal range to the east. The vineyard sits below the mountains that protect it from the winds from the Pacific Ocean. It has a cool maritime climate with hot summers with Nor West winds and cooler winters. The property is home to a variety of microclimates with 23 different soil profiles, including silt loam, clay, mudstone and alluvia gravel. With these characteristics, Teece achieves his goal to produce distinctive wines. Today, there are approximately 180 acres planted to vines and Mt. 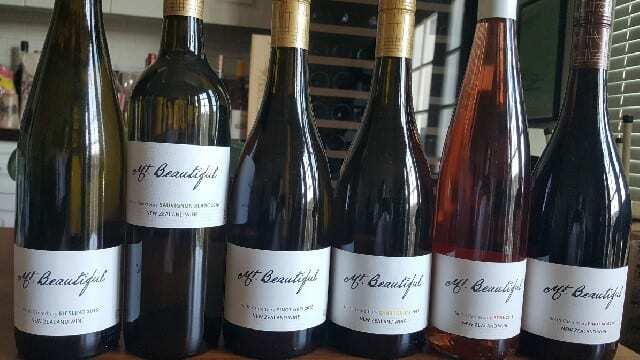 Beautiful produces riesling (planted in 2005), sauvignon blanc (planted in 2004-2006), pinot gris (planted 2005-2006), chardonnay (planted 2006-2011), rosé of pinot noire and pinot noir (planted 2004-2013). — Mt. Beautiful 2015 Riesling, North Canterbury – Riesling was the first wine that Mt. Beautiful produced and it is a gorgeous wine. On the nose, there are aromas of grapefruit, stone fruit and white flowers, as well as a flinty note. And on the palate, the wine has citrus, apple and mineral notes with bright acidity. There is a bit of residual sugar in this wine and yet the acidity balances it out. This is a perfect wine to pair with a spicy dish. — Mt. 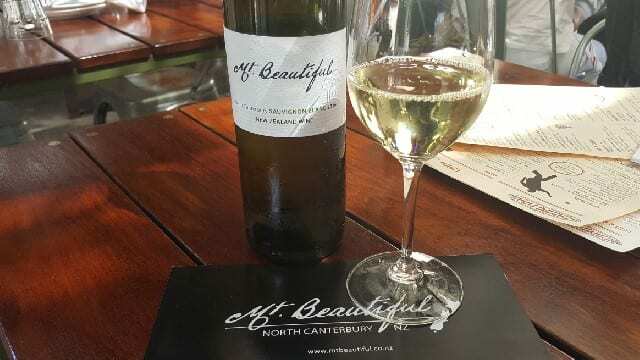 Beautiful 2016 Sauvignon Blanc, North Canterbury – Not all New Zealand sauvignon blanc tastes like a green grass herb garden and this is one of those. A small portion of the juice is fermented in new and used barrels and is aged on the lees for nine months. The resulting wine showcases tropical flavors and floral aromatics and is bright and crisp with a creamy mid-palate. This wine is a beautiful match for shellfish, especially oysters. — Mt. Beautiful 2015 Pinot Gris, North Canterbury – The pinot gris is a blend of some grapes picked early for good acidity and some grapes picked later for concentration. The resulting wine has intense floral, tropical fruit and pear aromas and intense acidity and minerality on the finish. The wine has a lovely mouthfeel and can be enjoyed with grilled salmon or chicken. Mt. Beautiful 2015 Chardonnay, North Canterbury – A well-balanced wine, this chardonnay is picked in three batches according to ripeness. Part of the juice is barrel fermented which goes through partial malolactic fermentation and part is fermented in stainless steel and then the wine is aged for nine months on the lees. The resulting wine has aromas of stone fruits and apple that continue onto the palate. There is also a hint of roasted almonds and brioche on the palate, as well as a touch of flintiness. The creamy texture with elegant acidity make this a wine to also enjoy with salmon and chicken. — Mt. Beautiful 2016 Rosé, North Canterbury – The rose is made from pinot noir that was pressed off after a short period of skin contact and then fermented. A bright pink color, the wine has notes of red berries and on the palate is crisp and fresh with notes of grapefruit, bright acidity and minerality. — Mt. 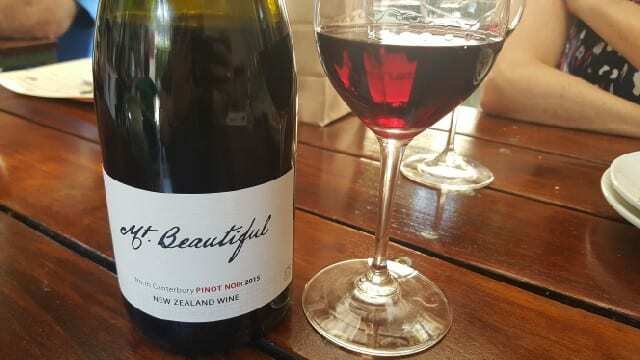 Beautiful 2015 Pinot Noir, North Canterbury – On the nose, the pinot noir has classic notes of raspberry, cherry, red currant and violet. On the palate, it is a smooth wine with notes of black cherry and white pepper. The pinot noir is a medium-bodied wine with intense acidity that makes it ideal to enjoy with salmon, lamb, duck or pork. This entry was posted in Wine and tagged Chardonnay, David Teece, Mt. Beautiful, Napa Valley Register, New Zealand, New Zealand Wine, North Canterbury, pinot gris, Pinot Noir, Riesling, sauvignon blanc, Wine by Allison Levine.